I really did not like The Expanse when I first viewed it. I went back to it and loved it. Everyone deserves at least a second chance, if not more. 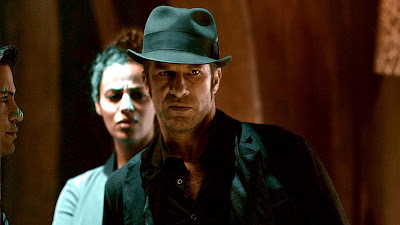 I especially like Thomas Jane. I have seen him in many films, and in my experience, he had never been given a chance to display his craft. He is really very good in this, and I am thankful that I have found a good actor after the drek of The Mist... even Dreamcatcher was not designed to show his ability... it only accented Damien Lewis and Jason Lee. This SyFy series is so designed and he is great. It is all up to the writers. They have done a great job in fleshing out these stumble-bums of space!